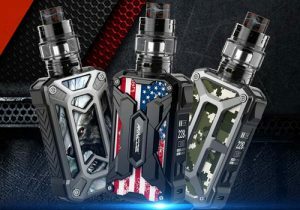 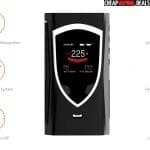 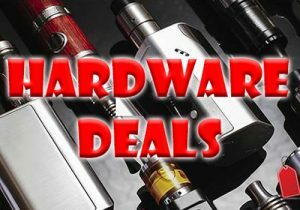 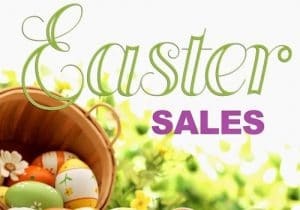 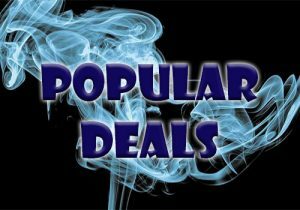 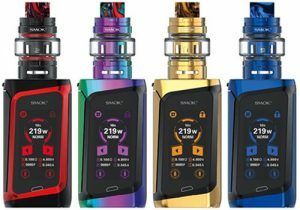 Here’s fantastic deals on the SMOK Procolor Box Mod. 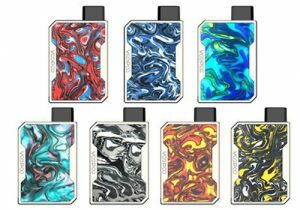 This mod has a whopping 225 watts of power and a really cool shield LED light that can be changed to six colors. 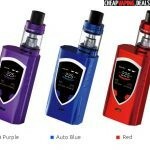 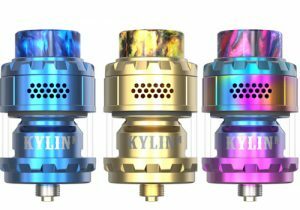 Also available in a kit with TFV8 Big Baby Tank that is said to produce massive vapor and has a top fill system. 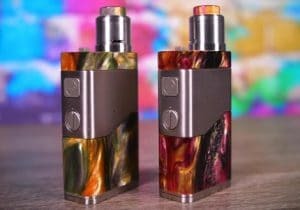 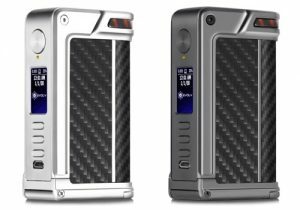 The ProColor is the latest high power box mod from Smoktech. 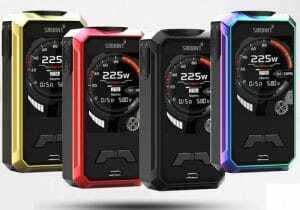 It features 225 watts of power, a changeable RGB backlight in the shape of a shield and a massive 1.3 inch HD screen with six alternate color settings. 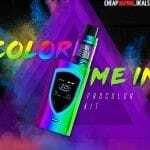 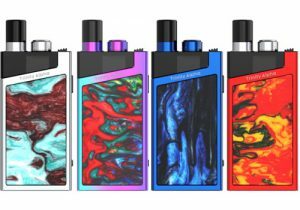 This mod gets its name because there are seven different color finishes available — black, green, purple, auto blue, red, silver and 7-color — as well as changeable font colors and customizable LED ring colors. 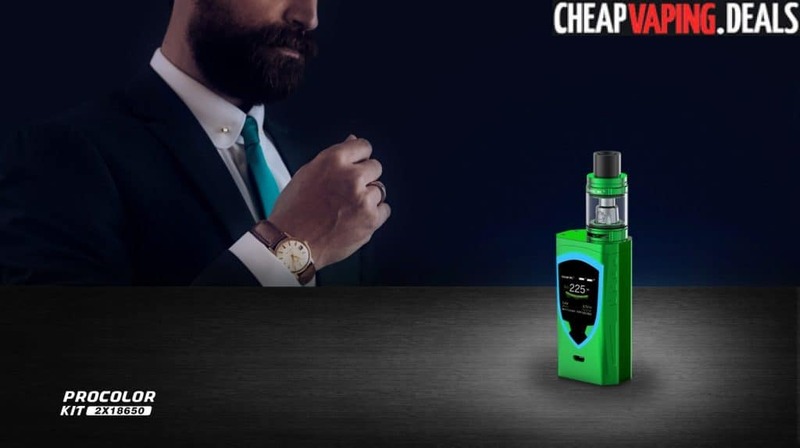 The device is portable thanks to measurements that come in at just 85mm x 46mm x 29.5mm and a weight of only 151 grams. 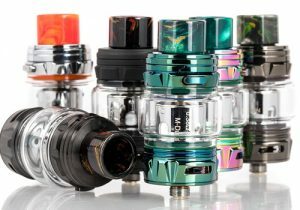 At the top, there’s a springloaded 510 connector for easy installation of any build or tank with a standard connection. 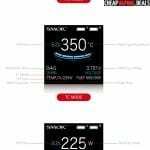 On the front control face, you will see a high definition OLED screen of which the interface is brand new thanks to the latest firmware. 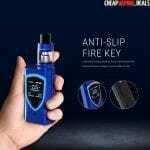 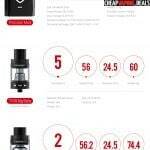 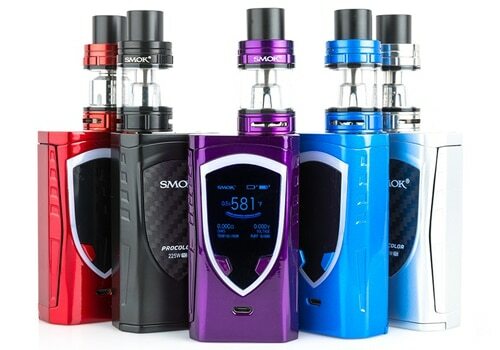 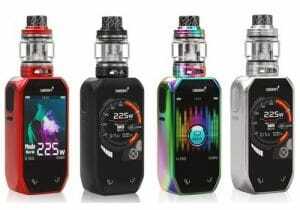 Depending on the mode you are operating in, the menu will display the Smok logo, two battery bars, puff time, power, temperature, resistance value, voltage, mode, coil type, drawing effect, puff counts and memory mode. 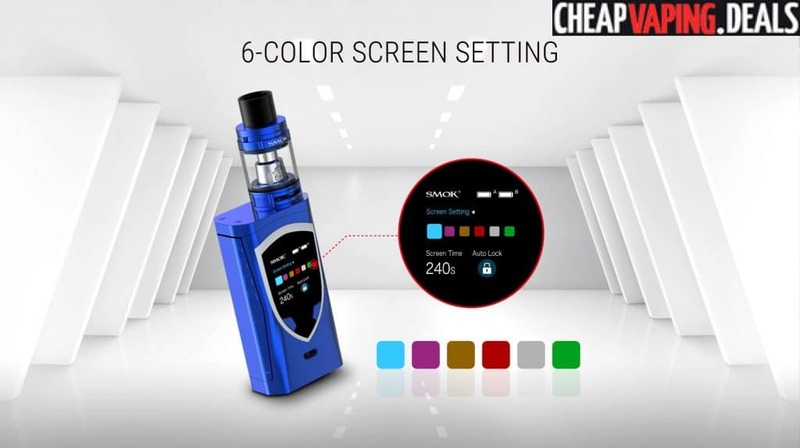 The menu’s font color can also be changed to six colors: blue, pink, brown, red, silver or green. 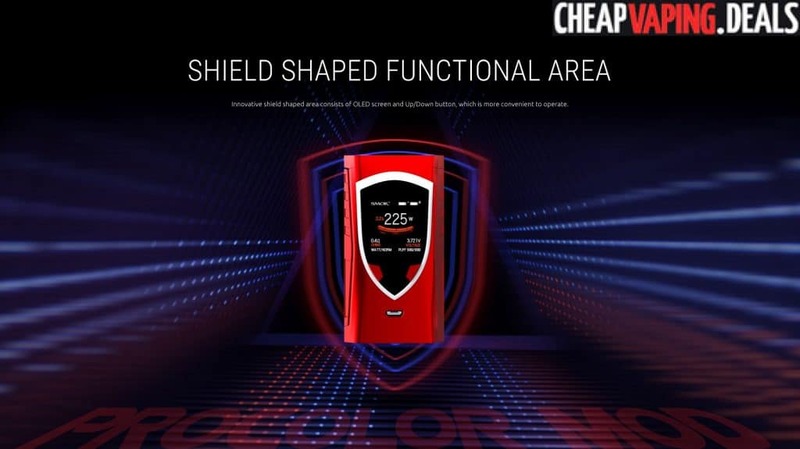 Surrounding the large screen, you will see a changeable color LED back light that is shaped in the form of a shield. 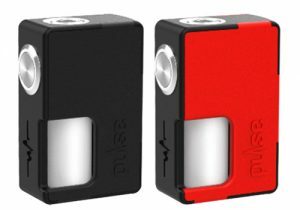 You may have seen a similar light ring on the popular Kaos Spectrum Mod. 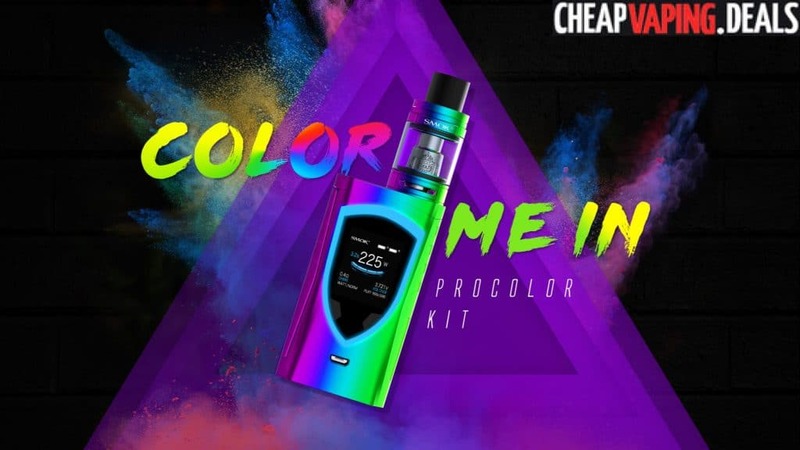 But, Procolor’s LED is more versatile thanks to 12 color options: three rainbow colors, white, pink, blue, light blue, green, yellow, orange, red or grey. 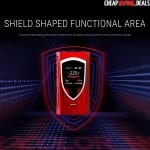 The adjustment buttons are located within the shield for perfect design integration and easy access. 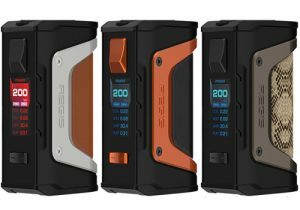 A lateral fire key encompasses an entire side of the box mod. 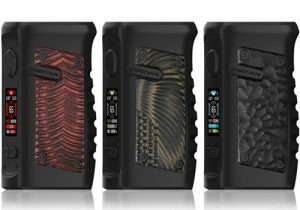 It is textured to prevent slippage and assure maximum comfort during mod operation. 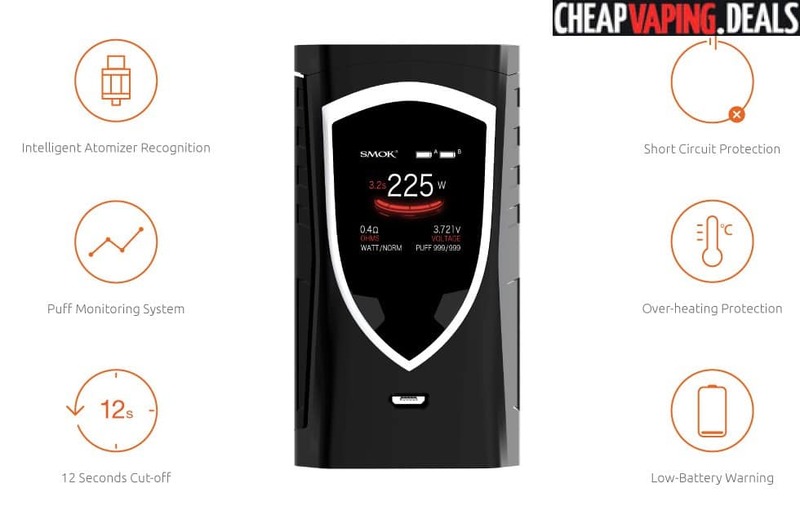 The technical specifications for this mod are very similar to what you may have seen in previous Smok mods. 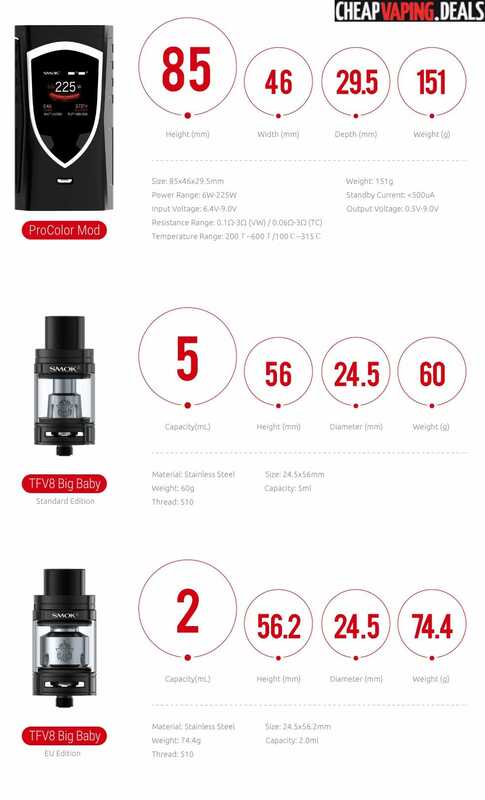 The Procolor can achieve 225 watts of power, can fire with a resistance down to 0.06ohm and put out 315 degrees Celsius in temperature control modes. 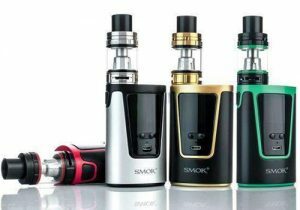 The available operating modes are memory, power and three temperature control ones (for nickel, titanium and stainless steel coils). 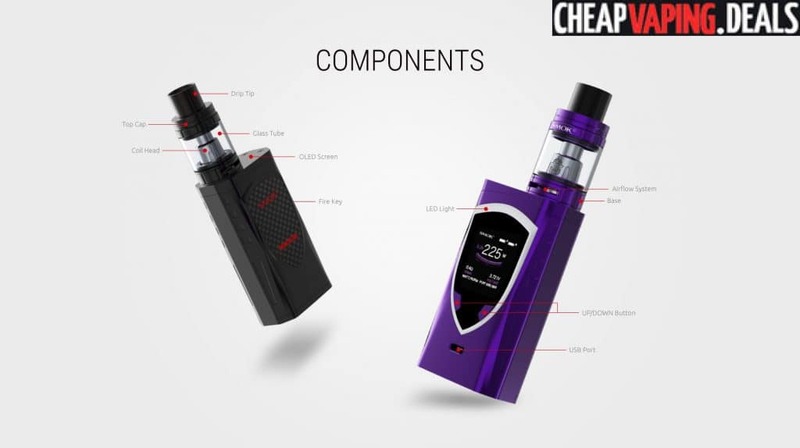 Each mode has its own dedicated interface. 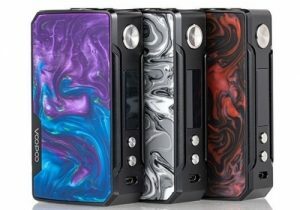 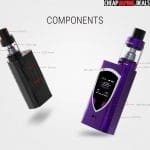 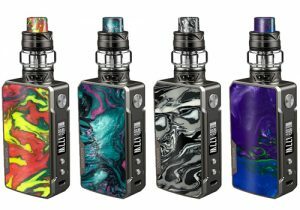 The box mod gets its power from two external 18650 batteries and is built with on-board charging technology to top off the cells via the micro USB interface. 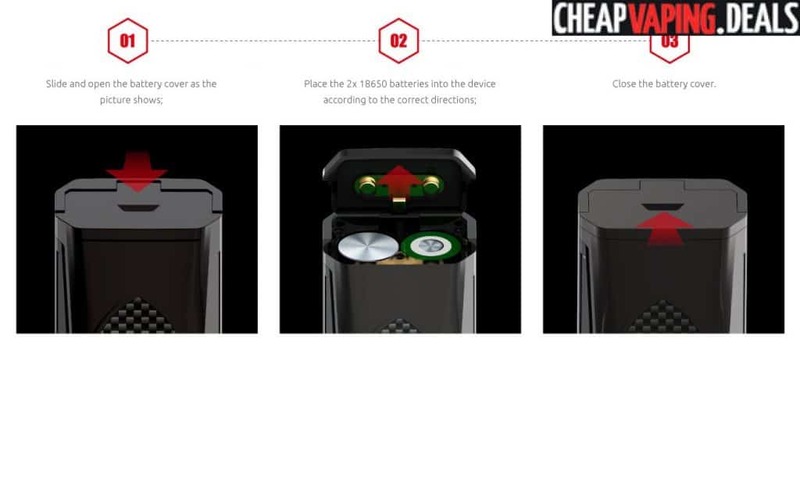 Batteries can be accessed by sliding the bottom battery panel that easily flips open. 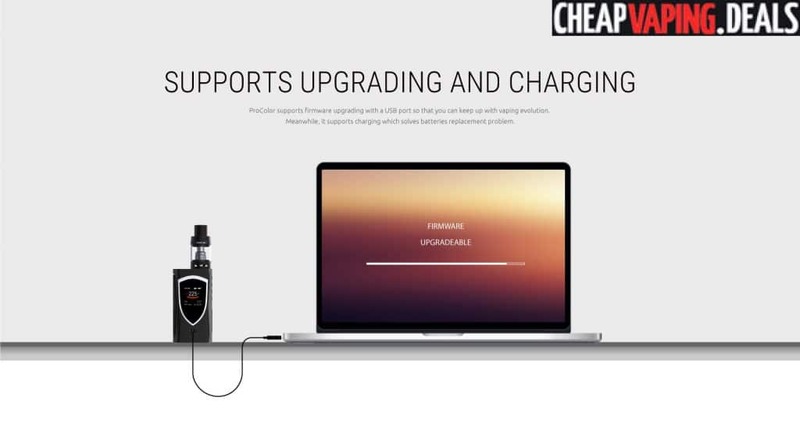 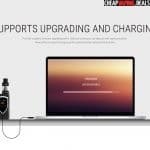 The USB port also supports firmware upgrades in case Smoktech releases new software. 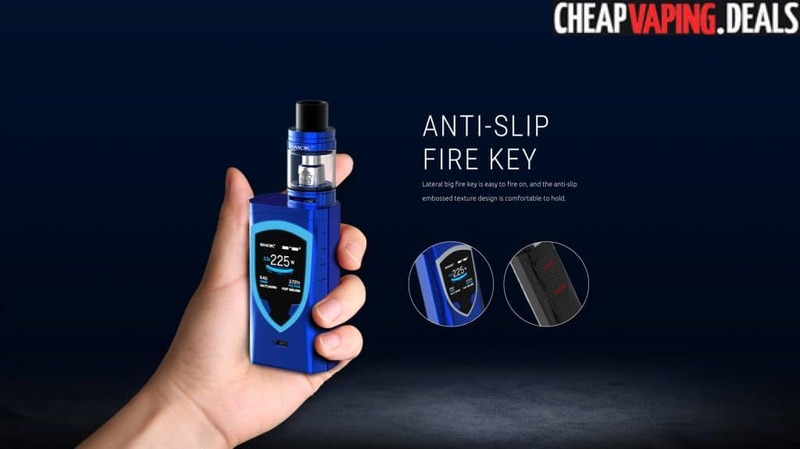 And, the operating system ensures safe operation by by protecting against overheating, short circuits, puffs longer than 12 seconds and low battery levels.